Macro photograph of an ammonite fossil from Madagascar that has been cut and polished. The fossil dates to the Jurassic period and is approximately 200 million years old. 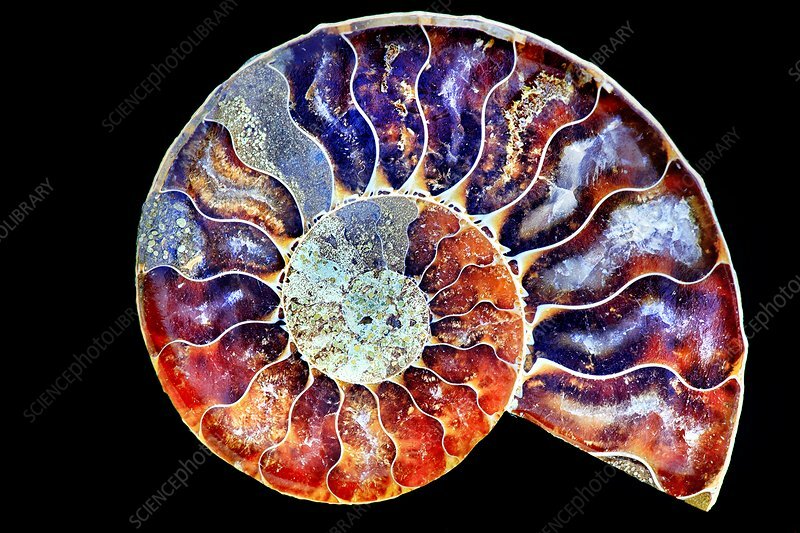 Ammonite shells are a naturally occurring example of the Fibonacci sequence, a list of numbers where every number is the sum of the previous two.